Farah feels alone, even when surrounded by her classmates. She listens and nods but doesn't speak. It's hard being the new kid in school, especially when you're from another country and don't know the language. Then, on a field trip to an apple orchard, Farah discovers there are lots of things that sound the same as they did at home, from dogs crunching their food to the ripple of friendly laughter. 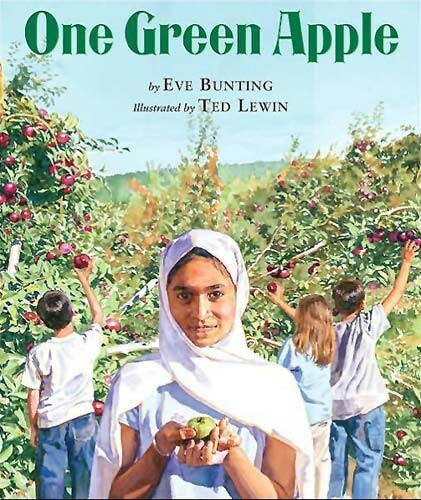 As she helps the class make apple cider, Farah connects with the other students and begins to feel that she belongs. 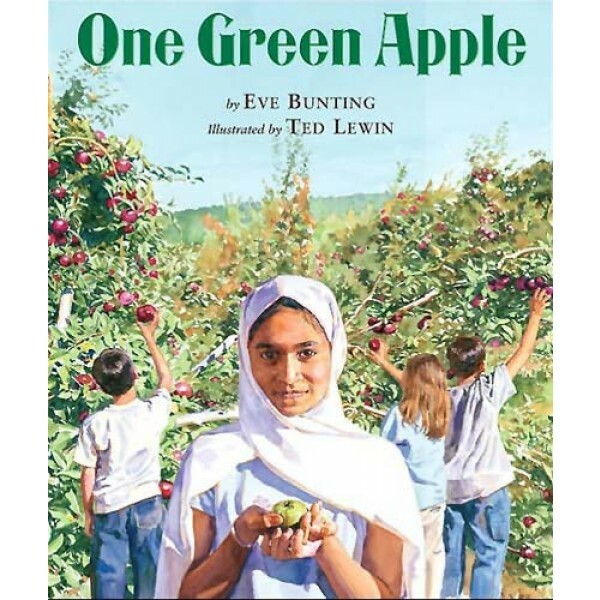 Ted Lewin's gorgeous sun-drenched paintings and Eve Bunting's sensitive text immediately put the reader into another child's shoes in this timely story of a young Muslim immigrant. Eve Bunting has written over two hundred books for children, including the Caldecott Medal-winning Smoky Night, illustrated by David Diaz.